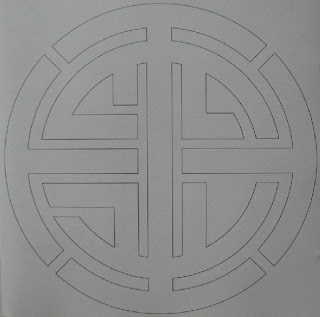 Ambient techno on :zoviet*france: label. Those files were downloaded on soulseek, cleaned with Adobe Audition, and encoded in mp3Pro maximum quality by Autodolor. Interview with Ben Ponton and Mark Warren on a Dutch radio. Anyone more info about that recording ? Read more interviews by :zoviet*france: co-founder Robin Storey here. That collaboration was recorded live during the LMC's New Aural Series at Conway Hall, London, on March 8, 1996. An excerpt was included in the Resonance Vol.5 N°2 compilation CD. "Joee Conroy had booked Zoviet France to play Snaglewet (the old Tewlegans Tavern) on a Friday night. 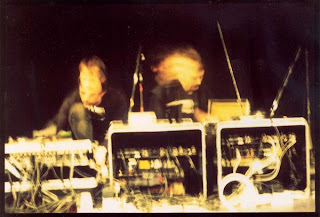 Later the club books the Flat Duo Jets on the same night without informing Joee or Zoviet France. When Zoviet France arrive to find out this information a hubub ensues and they ask to Joee 'Whose apartment can we play nearby?' I had made up some posters for the show - silkscreened a design on fake wood laminate (which I put on metal telephone poles) and fake ceramic floor tiling (which I put on wood telephone poles) in celebration of their legendary packaging. (Joee's poster was especially bad and this encouraged me to do my own.) So Joee suggests my apartment which was extremely close to Snaglewets. 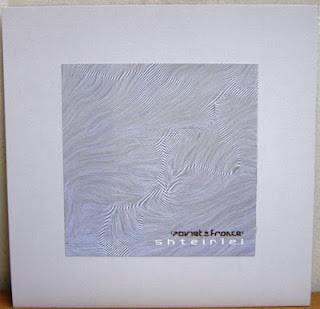 Thus one hot sweaty night in mid-May 1991 Zoviet France played in my livingroom through my stereo & this release is a recording of that show. The air conditioner had to be turned off to avoid adding noise to the show but after the show a few members of Zoviet France remarked they were quite pleasantly surprised to hear planes flying overhead during the show. My apartment was on one of the flight paths of United Parcel Service and the air traffic was an interesting addition to the show". - Zan Hoffman asked Megaupload to remove the link because he had "not given permission for this to be issued online" (LOL). Illusion Of Safety - Live Im C.U.B.A. Live recording from the Illusion Of Safety concert at C.U.B.A., Münster, Germany, on April 20, 2001. CDr created to be sold primarily at live performances. The tracks are live unreleased performances from 2000 + two new studio compositions, and two previously unavailable recordings from 1994. 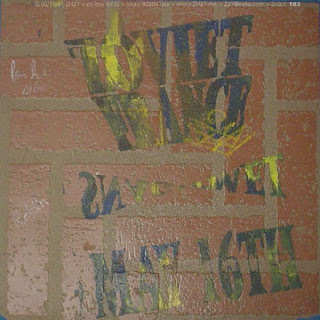 Tracks 6 & 7 : solo performance by Dan Burke at Dead Tech gallery, Chicago, 2000.
released with aa#32 in a limited edition of 100 copies"
From Dead Tech MySpace : "In 1981, Mitch Enderle was the first collaborator with Dan Burke recording as Psychotic Dub, which later became Illusion Of Safety. 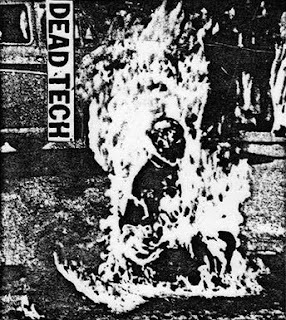 In 1985 Mitch released a cassette on Complacency called Dead Tech. 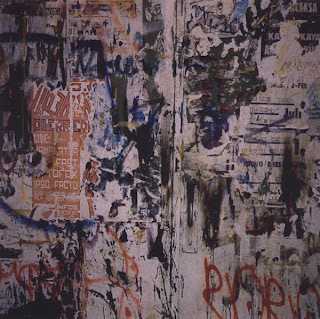 This work was Industrial music described as "noise like it used to be", featuring distorted drum machine, loops, samples, synth, guitar, and vocals very similar to early SPK, Nocturnal Emission, and Test Department". 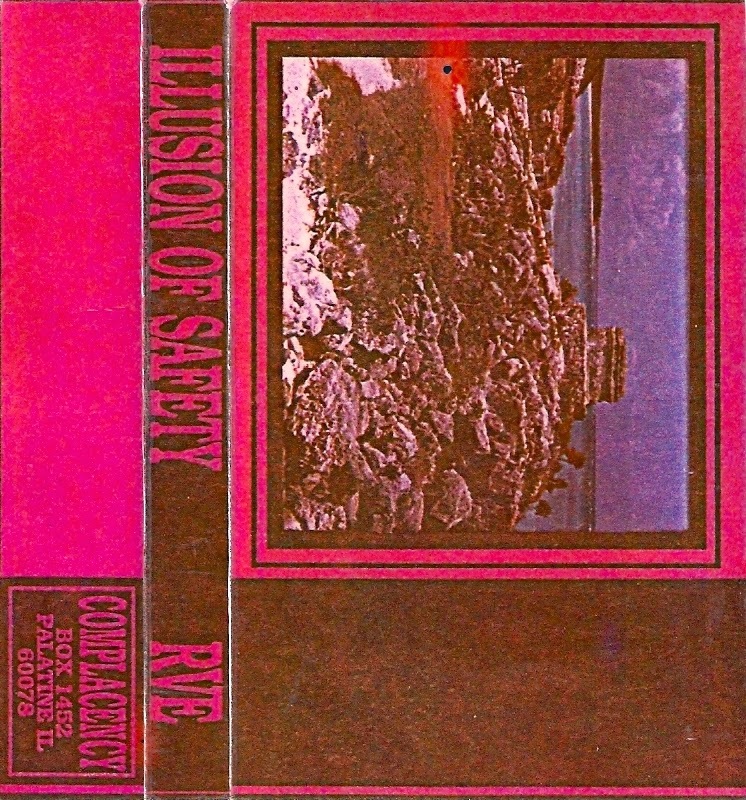 As far as I know, the performers on that obscure Illusion Of Safety release are Dan Burke and Jim O'Rourke. 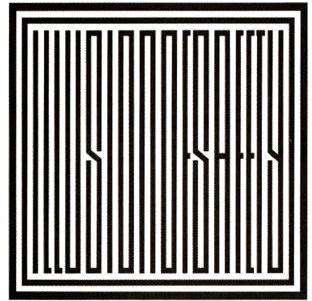 A brilliant cassette of ambient post-industrial music !